It's finally starting to feel like fall and I couldn't be more excited!! I don't know what it is about fall clothes, but they are my absolute favorite. 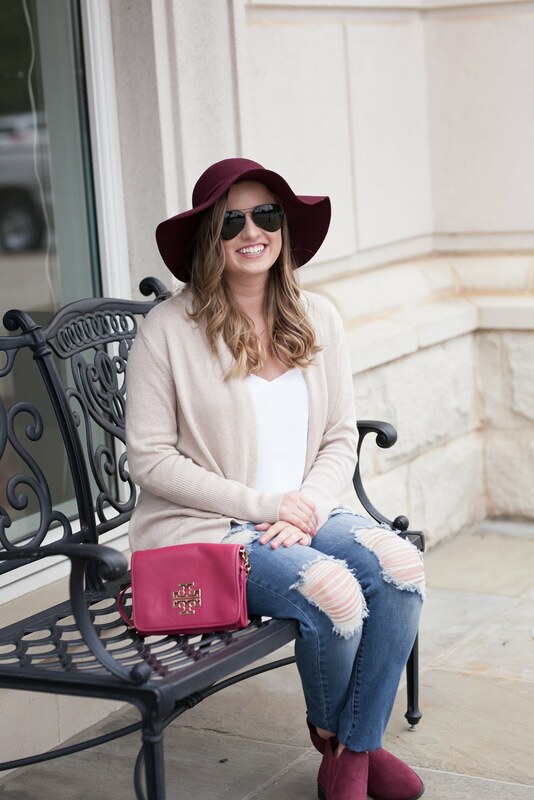 This cardigan is going to be a staple piece this season and is probably my most used item from the Nordstrom Anniversary Sale. I'm also a huge fan of these tanks. I wore them all summer with my shorts but they are also a perfect fit to stick under cardigans for the fall and winter. I just went by Express and got a couple more because I use them so much! I promise they are one thing you will wear ALL of the time!! The updates to the blog are finally together! If you look at the side bar, there is now a way to shop my most recent Instagram photos as well as all of my current favorite items. I have also added a LIKETOKNOW.it tab at the top where you can shop every single one of my Instagram posts. Under the shop tap, you can see an extended version of all of the things I am currently loving and things that I have recently added to my wardrobe. I hope all of these things are helpful! I just want to take a minute to let everyone affected by Harvey to know that I am still praying for them and those that are/will be affected by Irma, I am praying for you too!